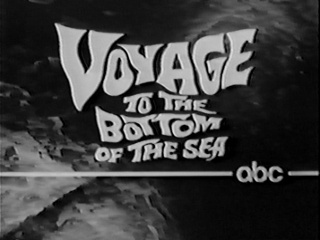 Here’s a promotional spot for ABC’s Voyage to the Bottom of the Sea. The series, which premiered in September of 1964, was originally broadcast in black and white before switching to color for its second season (1965-1966), and ultimately ran for four seasons, ending after the 1967-1968 season with 110 episodes. This promo is from the beginning of the first season (1964-’65), as the “Monday” identification is from the “Year of the Week” fall season campaign the previous summer.